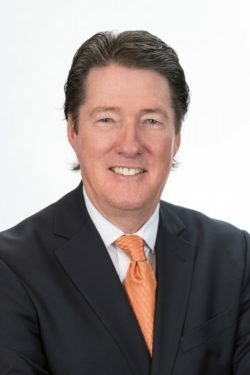 John Twitty joined Gardner Capital in December 2015 as senior vice president of solar development, focusing on developing projects with municipal utilities and electric cooperatives throughout the midwest. Additionally, he is the Executive Director of the Transmission Access Policy Study Group (TAPS). Twitty began his utility career in 1983 at Rolla Municipal Utilities (MO) and after serving as General Manager, moved to City Utilities of Springfield (MO) in 1991. He retired as General Manager and CEO of City Utilities in 2011. He served as chair of the Board of the American Public Power Association and of The Energy Authority. Twitty earned a bachelor of science degree in 1975 from the University of Missouri and received a Professional Degree from the University of Missouri-Rolla (now Missouri University of Science and Technology) in 2006. Twitty serves on the board of directors of Central Bank of the Ozarks and Jordan Valley Community Health Center and as chair of the Missouri State Lottery Commission. He serves as vice chair of the Member Representatives Committee of the North American Electric Reliability Corporation and is member of the Rotary Club of Springfield Southeast.